- Setup a "Device" as manufacturer "Custom" and model "Custom". For serial, select your serial port. For UDP, select a specific UDP port rather than leaving the default of "0" (for example 5000). - Have the other system send whatever strings you'd like to port 5000 (or serial port). For example, use the text "startmain\r". You could use any text you'd like. - You can setup any response you'd like back to the other system using the "Message Out" command. In this sequence, we turned on output 1 and sent a message back to custom controller that read "Main Show Started\r"
- For UDP, no device setup is required.  - For serial, setup a device Make: "Alcorn McBride, Inc" and Model: "Incoming Show Control". Select the protocol format: "ASCII" on the Connection screen of the Device Wizard. - For UDP, Have the other system send commands to port 2637 (2639 or 2638 may also be used) of the V16Pro (or to any serial port). would start the sequence "My Main Show". Do not use quotes around sequence names. You could also use a sequence number like 1PL. For more details, check out the "Control" section of the manual or just look at the strings sent by AMI-Terminal when V16Pro is selected. This is very simple to setup, but the downside is that you'll just always get an "R\r" response. No custom responses back to your other controller. You can use the "classic" 8-bit protocol over UDP or Serial. - Setup a device for Make: "Alcorn McBride, Inc" and Model: "Incoming Show Control". - Select the protocol format: "8-Bit" or "9-Bit" on the Connection screen of the Device Wizard. This is the most limited (no setting of string variables, start sequences only by number) and not recommended unless you need it for legacy purposes. This method is a bit more advanced, but basically uses the same idea as Method 1, but with the strings to be sent back and forth actually "hidden" in the product file. This example receives messages like "1PL" and custom responses are automatically sent back. Then, these custom messages start the sequences by selecting them as a trigger. Other incoming messages set the value of custom device variables. See attached example file(Incoming_Msg_Example.ami) for examples of all 4 methods.